These contol units (CU) are specially designed to heat effusion cells or to be used with any other application. Every power source is controlled by a precision PID controller from Eurotherm. Two meters with background illumination show voltage and current of the load circuit. The OUTPUT LIMITATION feature gives you the possibility to limit the maximum power consumption of the load circuit manually and instantaneously. The power cord to the heater is bakeable up to 200°C. 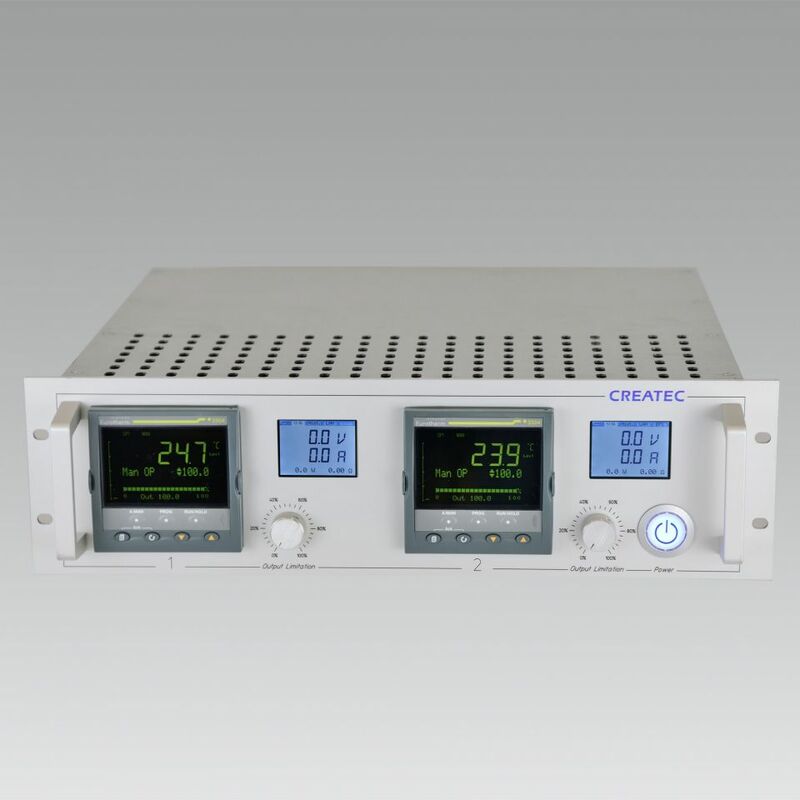 There are two versions of the CreaTec power supply with one power circuit or two power circuits. In addition a DC version is available with varying power (voltage and current).